A Joshua Tree Bouldering Guide may seem unnecessary for veteran climbers, but novice climbers who are only getting their first few outdoor jaunts could benefit a lot from it. The Joshua Tree park is considered as a climbing mecca, so many of the visitors tend to be world class climbers. A beginner may feel out of place or could end up biting more than she can chew. Fortunately, there are specific routes and areas that are perfect for beginners. Trashcan Rock – this is perfect if you are coming in from the west entrance, because it is one of the first climbing areas that you will come across. It has routes ranging from 5.0 to 5.12b, with bouldering challenges that can range from V0+ to V5. Your guide will tell you which ones you should attempt first. Trashcan Rock also has the benefit of having a walk-off route on the north end of the formation, if you really can’t handle some of the more difficult routes. Lizard’s Hangout – Lizard’s Hangout is known for having a wide range of routes with difficulties ranging from 5.2 to 5.11c. Beginners can go for the 5.2 route, while experts can go for the latter. This area is only 7.2 miles away from the West Entrance. The Blob – this area takes its name from the fact that it is exactly a big blob of rock in the middle of the park. Star Wars fans will find that it looks very similar in shape to the Jabba the Hutt character. This is another route that caters to different skill levels. The beginner climbs (5.2) are located in the West Face, while the North Face offers slightly harder routes (5.4). The North and South end of The Blob offer easy descents. 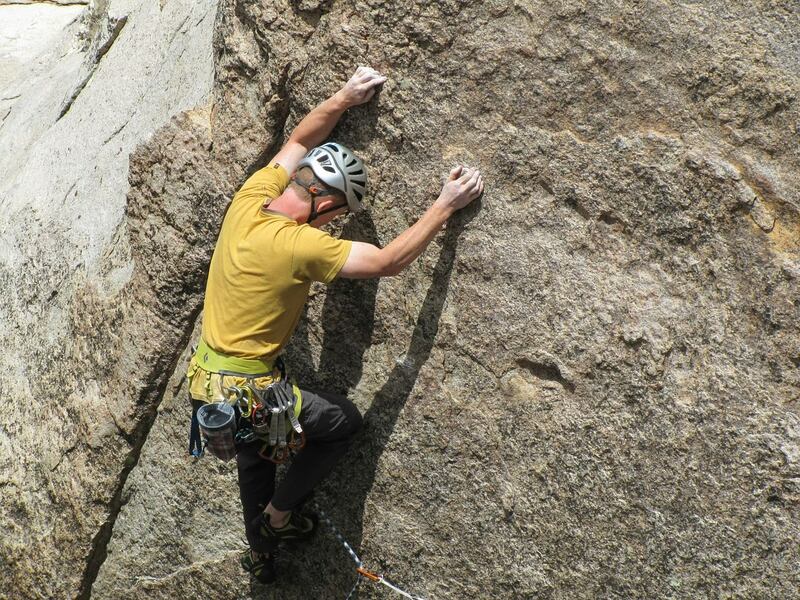 These three routes should be enough to give novice climbers some awesome experiences. Your Joshua Tree Uprising Guide can point you to even more, as there are literally thousands of available routes in the park. It would take a lifetime to experience all of them, so you better get started now by contacting Uprising Adventure Guides.